We all have the need to believe in something. And God is the only thing that keeps us moving in this crazy world. But, don’t you sometimes feel like you are not God’s child anymore? Don’t you feel as he has abandoned you? Whether you lost your job, a family member or things just went the wrong way, don’t be afraid, you are not alone. God’s mercy is so great, and He will never leave you on your own. It is just the way He tests your faith. Yes, sometimes it’s hard to understand the greatness of God, and the reasons why some things happen. All we are left to do is believe and hope. But remember, God will always be here for you. If you are looking for a way to renew your faith in Christianity, read on. We have singled out few effective ways to help you get closer to God and rebuild your faith. Don’t Be Mad At Yourself – When things go wrong, it’s easier to blame God and yourself. You lose your faith in God. But, that solves nothing. After some time, you will be just mad at yourself for refusing God. Thus, stop being mad at yourself. Find your way back and strengthen your faith in God. Stop Pointing Yourself As An Atheist – Just because you do not attend church regularly or praise God, it doesn’t mean you don’t believe in Him. You are just going through a rough time. The first step to renewing your faith is to stop calling yourself an atheist. Talk To A Priest – Priests are embodiments of God. They know exactly how to pray with you and lift your faith to a higher level. No need to keep secrets from him, just open your heart and let him heal your broken relationship with God. Read The Bible – If you want to hear God’s words, then you should definitely read the Bible more often. You will find answers to many of your questions in this sacred book. If you feel lost or don’t know what is the purpose of your life, read the Bible. You will feel enlightened. Get The Towards Belief DVD – One of the best ways to renew your faith in God is by getting the Towards Belief DVD at home. Karl Faase, a senior pastor at Gymea Baptist Church in Sydney, and Olive Tree Media created this DVD to help non believers overcome the barriers that stop them from believing in God. In each episode, Karl talks to different group of people that do not share the same opinion as he. Karl uses all these discussions to find out why so many people are getting away from the Christian religion. 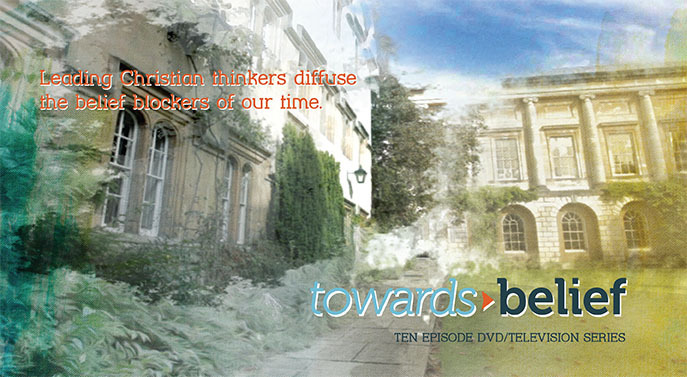 Towards Belief DVD is an amazing collection of series that elaborates on the 10th main blockers to Christian faith. Karl uses all his knowledge and experience to help non believers accept God once again. Wait no more and get the Towards Belief DVD, and move from a fearful silence towards more confident engagement in God.